Fifteen years ago I began immersing myself in the wild places of Africa. I never set out to become a photographer. Just being in wilderness was enough for me. It still is. Wilderness is the foundation of meaning in my life. But I wanted to share the inspiration. So photography is my way of sharing. And it’s my way of saying “thank you” to these places that have given me so much joy, belief and insight. But still, sometimes I want to put my camera down and lose myself in the moment. Look, listen, smell, taste and touch. And then there are the other dormant senses that arise, senses that can’t be described with words, but can certainly be felt. They are real, and they are resurrected in African wilderness. Photography can be a selfish pursuit, perhaps yet another way we make use of the sacred Earth for our own purposes, another potentially insidious form of plundering, commoditising and selling nature for our own gain. Still, I use my camera, hoping that my photographs portray the feeling of what it’s like to be immersed in African wilderness. If someone, somewhere, sees one of my images and stops to think of a wild place on this ancient continent, then I feel my work is justified. If they look at the photograph, and wonder what it’s like to be there, among the elephants, the lions, the baobabs…then possibly they will take a moment out of their own busy lives, and ponder what it means to be a human animal in relationship with the rest of life on this little planet. Perhaps then they will also recall the wonder and beauty in their own lives, no matter how seemingly small or insignificant. African wilderness can remind us powerfully of what truly matters. If my photography can shift perspective in even just one person, then I feel my work has value. African wilderness and their wild animals need all the help they can get. We are destroying the feral lands and oceans, whether we’re aware of it or not. And we’re all guilty to some degree. In this modern, consumptive world, we need wilderness to save us from ourselves, to remind us of our true place in the cosmos. But ironically, the most valuable places on Earth today are the most vulnerable. The most joyful scenes of light often have the darkest shadows. The state of African wilderness today reflects the very best and very worst of human behaviour. We have a choice: to protect and nurture, or to consume and destroy. To fall in love with wildness again, or be ostracised from the rest of nature forever, a lonely species which destroys the very thing which gave birth to us. 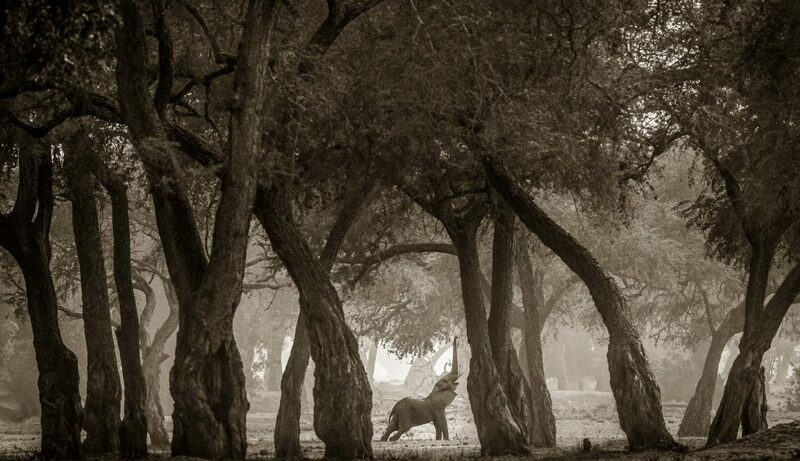 My photography attempts to portray the immense contrasts of emotions that the wild places of Africa evoke. To purchase a photograph, or a signed canvas print, please e-mail me on scott@lovewildafrica.com for an assessment and quote.